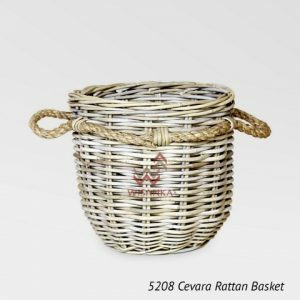 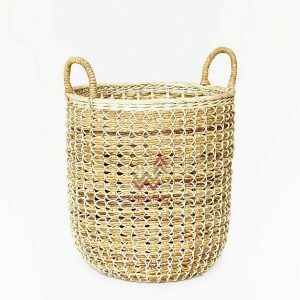 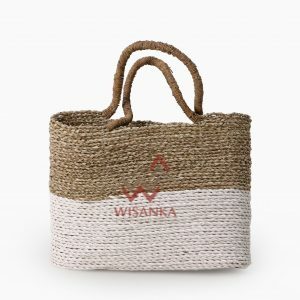 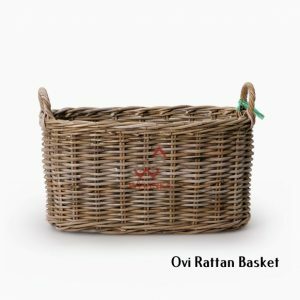 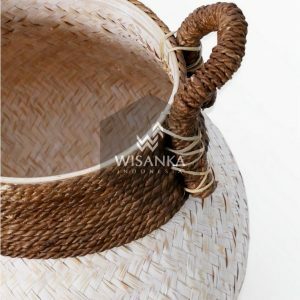 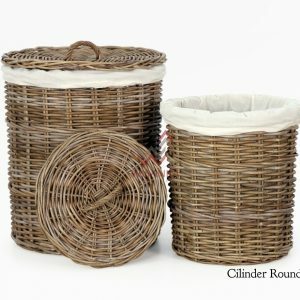 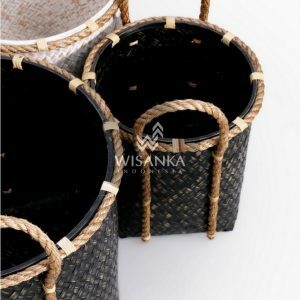 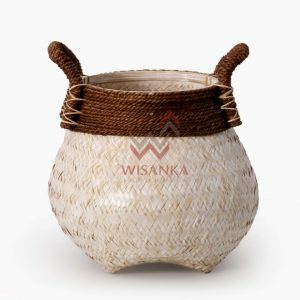 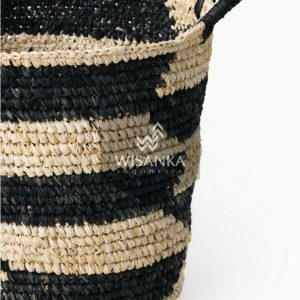 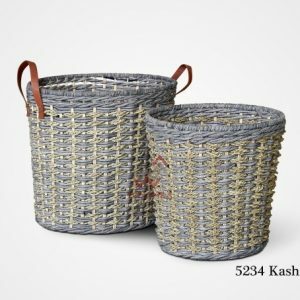 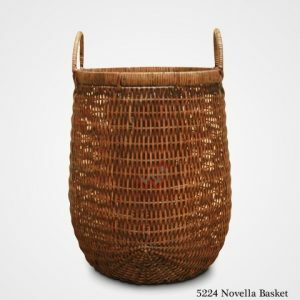 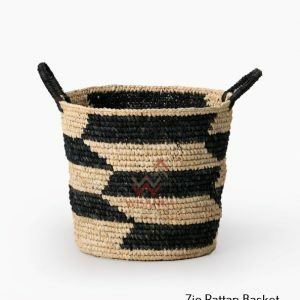 Wicker basket made by natural fiber weaving such seagrass, abaca, water hyacinth and bamboo. 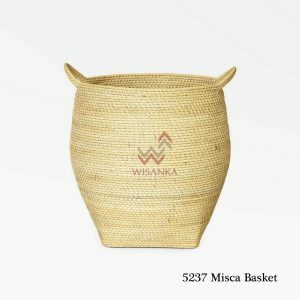 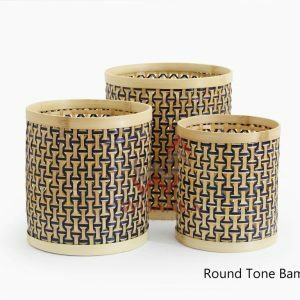 Handcrafted by craftsmen in Indonesia. 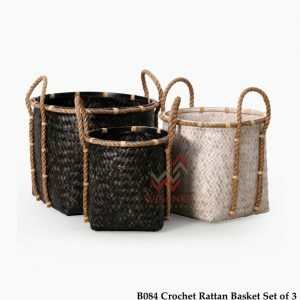 Available in different shape and different size.